understand how information technology combined with business processes can bring an organization competitive advantage. The fourth component of information systems is process. But what is a process and how does it tie into information systems? And in what ways do processes have a role in business? This chapter will look to answer those questions and also describe how business processes can be used for strategic advantage. We have all heard the term process before, but what exactly does it mean? A process is a series of tasks that are completed in order to accomplish a goal. A business process, therefore, is a process that is focused on achieving a goal for a business. If you have worked in a business setting, you have participated in a business process. Anything from a simple process for making a sandwich at Subway to building a space shuttle utilizes one or more business processes. Processes are something that businesses go through every day in order to accomplish their mission. The better their processes, the more effective the business. Some businesses see their processes as a strategy for achieving competitive advantage. A process that achieves its goal in a unique way can set a company apart. A process that eliminates costs can allow a company to lower its prices (or retain more profit). Every day, each of us will conduct many processes without even thinking about them: getting ready for work, using an ATM, reading our e-mail, etc. But as processes grow more complex, they need to be documented. For businesses, it is essential to do this, because it allows them to ensure control over how activities are undertaken in their organization. It also allows for standardization: McDonald’s has the same process for building a Big Mac in all of its restaurants. Enter your contact information in the “Tell us about you” box. Choose your user ID and password. Search Wikipedia to determine if the term already exists. If the term is found, then an article is already written, so you must think of another term. Go to 1. If the term is not found, then look to see if there is a related term. 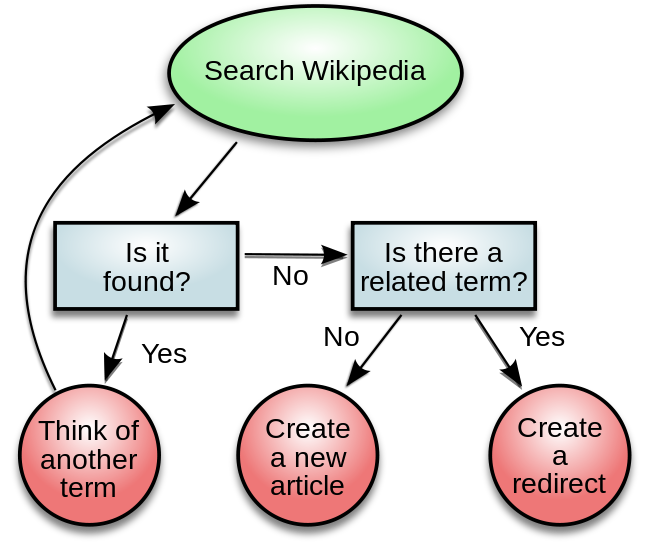 If there is a related term, then create a redirect. 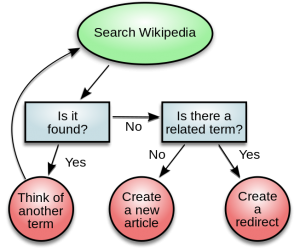 If there is not a related term, then create a new article. Versions and timestamps. The document management system will keep multiple versions of documents. The most recent version of a document is easy to identify and will be served up by default. Approvals and workflows. When a process needs to be changed, the system will manage both access to the documents for editing and the routing of the document for approvals. Communication. When a process changes, those who implement the process need to be made aware of the changes. A document management system will notify the appropriate people when a change to a document is approved. Of course, document management systems are not only used for managing business process documentation. Many other types of documents are managed in these systems, such as legal documents or design documents. A software application: The system is a software application, which means that it has been developed with specific logic and rules behind it. It has to be installed and configured to work specifically for an individual organization. With a centralized database: All data in an ERP system is stored in a single, central database. 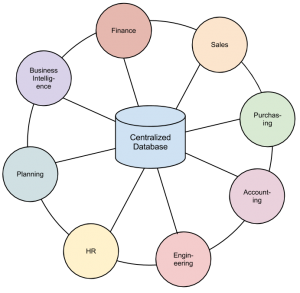 This centralization is key to the success of an ERP – data entered in one part of the company can be immediately available to other parts of the company. That can be used to run an entire company: An ERP can be used to manage an entire organization’s operations. If they so wish, companies can purchase modules for an ERP that represent different functions within the organization, such as finance, manufacturing, and sales. Some companies choose to purchase many modules, others choose a subset of the modules. An ERP system not only centralizes an organization’s data, but the processes it enforces are the processes the organization adopts. When an ERP vendor designs a module, it has to implement the rules for the associated business processes. A selling point of an ERP system is that it has best practices built right into it. In other words, when an organization implements an ERP, it also gets improved best practices as part of the deal! For many organizations, the implementation of an ERP system is an excellent opportunity to improve their business practices and upgrade their software at the same time. But for others, an ERP brings them a challenge: Is the process embedded in the ERP really better than the process they are currently utilizing? And if they implement this ERP, and it happens to be the same one that all of their competitors have, will they simply become more like them, making it much more difficult to differentiate themselves? This has been one of the criticisms of ERP systems: that they commoditize business processes, driving all businesses to use the same processes and thereby lose their uniqueness. The good news is that ERP systems also have the capability to be configured with custom processes. For organizations that want to continue using their own processes or even design new ones, ERP systems offer ways to support this through the use of customizations. But there is a drawback to customizing an ERP system: organizations have to maintain the changes themselves. Whenever an update to the ERP system comes out, any organization that has created a custom process will be required to add that change to their ERP. This will require someone to maintain a listing of these changes and will also require retesting the system every time an upgrade is made. Organizations will have to wrestle with this decision: When should they go ahead and accept the best-practice processes built into the ERP system and when should they spend the resources to develop their own processes? It makes the most sense to only customize those processes that are critical to the competitive advantage of the company. Some of the best-known ERP vendors are SAP, Microsoft, and Oracle. Organizations that are serious about improving their business processes will also create structures to manage those processes. Business process management (BPM) can be thought of as an intentional effort to plan, document, implement, and distribute an organization’s business processes with the support of information technology. BPM is more than just automating some simple steps. While automation can make a business more efficient, it cannot be used to provide a competitive advantage. BPM, on the other hand, can be an integral part of creating that advantage. Not all of an organization’s processes should be managed this way. An organization should look for processes that are essential to the functioning of the business and those that may be used to bring a competitive advantage. The best processes to look at are those that include employees from multiple departments, those that require decision-making that cannot be easily automated, and processes that change based on circumstances. To make this clear, let’s take a look at an example. Suppose a large clothing retailer is looking to gain a competitive advantage through superior customer service. As part of this, they create a task force to develop a state-of-the-art returns policy that allows customers to return any article of clothing, no questions asked. The organization also decides that, in order to protect the competitive advantage that this returns policy will bring, they will develop their own customization to their ERP system to implement this returns policy. As they prepare to roll out the system, they invest in training for all of their customer-service employees, showing them how to use the new system and specifically how to process returns. Once the updated returns process is implemented, the organization will be able to measure several key indicators about returns that will allow them to adjust the policy as needed. For example, if they find that many women are returning their high-end dresses after wearing them once, they could implement a change to the process that limits – to, say, fourteen days – the time after the original purchase that an item can be returned. As changes to the returns policy are made, the changes are rolled out via internal communications, and updates to the returns processing on the system are made. In our example, the system would no longer allow a dress to be returned after fourteen days without an approved reason. Empowering employees. When a business process is designed correctly and supported with information technology, employees will be able to implement it on their own authority. In our returns-policy example, an employee would be able to accept returns made before fourteen days or use the system to make determinations on what returns would be allowed after fourteen days. Built-in reporting. By building measurement into the programming, the organization can keep up to date on key metrics regarding their processes. In our example, these can be used to improve the returns process and also, ideally, to reduce returns. Enforcing best practices. As an organization implements processes supported by information systems, it can work to implement the best practices for that class of business process. In our example, the organization may want to require that all customers returning a product without a receipt show a legal ID. This requirement can be built into the system so that the return will not be processed unless a valid ID number is entered. Enforcing consistency. By creating a process and enforcing it with information technology, it is possible to create a consistency across the entire organization. In our example, all stores in the retail chain can enforce the same returns policy. And if the returns policy changes, the change can be instantly enforced across the entire chain. As organizations look to manage their processes to gain a competitive advantage, they also need to understand that their existing ways of doing things may not be the most effective or efficient. A process developed in the 1950s is not going to be better just because it is now supported by technology. Many of our job designs, work flows, control mechanisms, and organizational structures came of age in a different competitive environment and before the advent of the computer. They are geared towards greater efficiency and control. Yet the watchwords of the new decade are innovation and speed, service, and quality. It is time to stop paving the cow paths. Instead of embedding outdated processes in silicon and software, we should obliterate them and start over. We should “reengineer” our businesses: use the power of modern information technology to radically redesign our business processes in order to achieve dramatic improvements in their performance. Organize around outcomes, not tasks. This simply means to design the process so that, if possible, one person performs all the steps. Instead of repeating one step in the process over and over, the person stays involved in the process from start to finish. Have those who use the outcomes of the process perform the process. Using information technology, many simple tasks are now automated, so we can empower the person who needs the outcome of the process to perform it. The example Hammer gives here is purchasing: instead of having every department in the company use a purchasing department to order supplies, have the supplies ordered directly by those who need the supplies using an information system. Subsume information-processing work into the real work that produces the information. When one part of the company creates information (like sales information, or payment information), it should be processed by that same department. There is no need for one part of the company to process information created in another part of the company. Treat geographically dispersed resources as though they were centralized. With the communications technologies in place today, it becomes easier than ever to not worry about physical location. A multinational organization does not need separate support departments (such as IT, purchasing, etc.) for each location anymore. Link parallel activities instead of integrating their results. Departments that work in parallel should be sharing data and communicating with each other during their activities instead of waiting until each group is done and then comparing notes. Put the decision points where the work is performed, and build controls into the process. The people who do the work should have decision-making authority and the process itself should have built-in controls using information technology. Capture information once, at the source. Requiring information to be entered more than once causes delays and errors. With information technology, an organization can capture it once and then make it available whenever needed. These principles may seem like common sense today, but in 1990 they took the business world by storm. Hammer gives example after example of how organizations improved their business processes by many orders of magnitude without adding any new employees, simply by changing how they did things (see sidebar). Unfortunately, business process reengineering got a bad name in many organizations. This was because it was used as an excuse for cost cutting that really had nothing to do with BPR. For example, many companies simply used it as an excuse for laying off part of their workforce. Today, however, many of the principles of BPR have been integrated into businesses and are considered part of good business-process management. The process of purchasing the correct textbooks in a timely manner for college classes has always been problematic. And now, with online bookstores such as Amazon competing directly with the college bookstore for students’ purchases, the college bookstore is under pressure to justify its existence. But college bookstores have one big advantage over their competitors: they have access to students’ data. In other words, once a student has registered for classes, the bookstore knows exactly what books that student will need for the upcoming term. To leverage this advantage and take advantage of new technologies, the bookstore wants to implement a new process that will make purchasing books through the bookstore advantageous to students. Though they may not be able to compete on price, they can provide other advantages, such as reducing the time it takes to find the books and the ability to guarantee that the book is the correct one for the class. In order to do this, the bookstore will need to undertake a process redesign. The goal of the process redesign is simple: capture a higher percentage of students as customers of the bookstore. After diagramming the existing process and meeting with student focus groups, the bookstore comes up with a new process. In the new process, the bookstore utilizes information technology to reduce the amount of work the students need to do in order to get their books. In this new process, the bookstore sends the students an e-mail with a list of all the books required for their upcoming classes. By clicking a link in this e-mail, the students can log into the bookstore, confirm their books, and purchase the books. The bookstore will then deliver the books to the students. Many organizations now claim that they are using best practices when it comes to business processes. 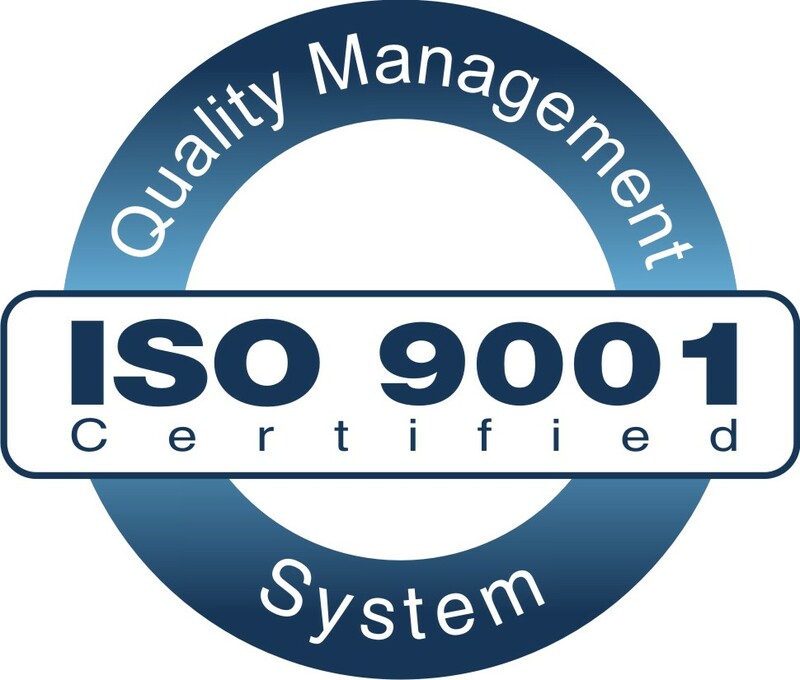 In order to set themselves apart and prove to their customers (and potential customers) that they are indeed doing this, these organizations are seeking out an ISO 9000 certification. ISO is an acronym for International Standards Organization (website here). This body defines quality standards that organizations can implement to show that they are, indeed, managing business processes in an effective way. 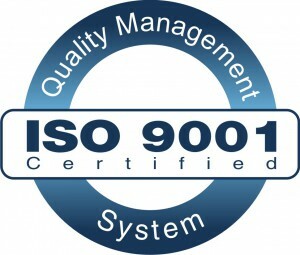 The ISO 9000 certification is focused on quality management. Tell me what you do (describe the business process). Show me where it says that (reference the process documentation). Prove that this is what happened (exhibit evidence in documented records). Over the years, this certification has evolved and many branches of the certification now exist. ISO certification is one way to separate an organization from others. You can find out more about the ISO 9000 standard here. The advent of information technologies has had a huge impact on how organizations design, implement, and support business processes. From document management systems to ERP systems, information systems are tied into organizational processes. Using business process management, organizations can empower employees and leverage their processes for competitive advantage. Using business process reengineering, organizations can vastly improve their effectiveness and the quality of their products and services. Integrating information technology with business processes is one way that information systems can bring an organization lasting competitive advantage. What does the term business process mean? What are three examples of business process from a job you have had or an organization you have observed? What is the value in documenting a business process? What is an ERP system? How does an ERP system enforce best practices for an organization? What is one of the criticisms of ERP systems? What is business process reengineering? How is it different from incrementally improving a process? Why did BPR get a bad name? List the guidelines for redesigning a business process. What is business process management? What role does it play in allowing a company to differentiate itself? What does ISO certification signify? Think of a business process that you have had to perform in the past. How would you document this process? Would a diagram make more sense than a checklist? Document the process both as a checklist and as a diagram. Review the return policies at your favorite retailer, then answer this question: What information systems do you think would need to be in place to support their return policy. If you were implementing an ERP system, in which cases would you be more inclined to modify the ERP to match your business processes? What are the drawbacks of doing this? Which ERP is the best? Do some original research and compare three leading ERP systems to each other. Write a two- to three-page paper that compares their features.